Your organization will produce many documents and files over time, some of which contain sensitive information that must remain confidential. Document redaction services can help to clean any documents of the private information and can help to protect people and the businesses relating to the documents. 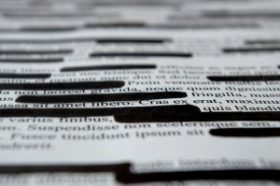 Redaction is simply the process of removing text or images from a document. This process is sometimes called document sanitization. Governments and businesses use document redaction services to remove private information that might be used for identity theft from electronic documents when they are published. The redaction process has two main steps. The first step is done via software. Electronic documents are converted to text via OCR. Software then looks for patterns or private information. This may be names, social security numbers, or other identifying data that is requested. The second step is for each document to be reviewed by a person. This person then verifies that the software did not miss anything during the review process. For most organizations the document redaction services process must be done for thousands of documents. This process is usually outsourced to a company that specializes in this heavy workload. No matter who performs the document redaction services, the process needs to be done professionally and efficiently. With redacting, it is important not only to cover the images or text you need removed. The process will also make sure it is removed from the original image before it is published. The service should also be thorough and secure without any inaccurate results for assurance that your documents can’t be compromised before sanitized. 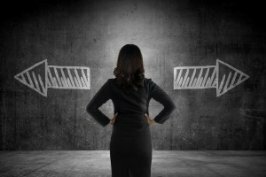 Using a proper service for document management can be crucial for your privacy and confidential affairs of your organization. Get Free Quotes on Document Redaction Services Today! Record Nations works with the top redaction services throughout the country. We partner with the top companies and match them to your company based on your location. To get started, fill out the form to the right, or give us a call at (866) 385-3706. Within minutes of receiving your request, you will have free quotes from experts in your area that can help you find the right redaction services for your specific needs.